Looking for a gift or want to shop? 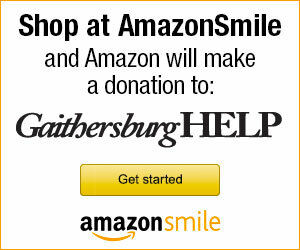 Amazon will donate to Gaithersburg HELP as your charity of choice, at no cost to you. How it works – You Shop. Amazon Gives. Support Gaithersburg HELP as your charitable organization of choice when you shop at Amazon.